What a whistleblower thinks a fellow whistleblower might have thought. As a State Department whistleblower, I think a lot about Edward Snowden. I can’t help myself. My friendships with other whistleblowers like Tom Drake, Jesslyn Radack, Daniel Ellsberg and John Kiriakou lead me to believe that, however different we may be as individuals, our acts have given us much in common. I suspect that includes Snowden, though I’ve never had the slightest contact with him. Still, as he took his long flight from Hong Kong into the unknown, I couldn’t help feeling that he was thinking some of my thoughts, or I his. Here are five things that I imagine were on his mind (they would have been on mine) as that plane took off. Whistleblowers act on conscience because they encounter something so horrifying, unconstitutional, wasteful, fraudulent or mismanaged that they are overcome by the need to speak out. There is always a calculus of pain and gain (for others, if not oneself), but first thoughts are about what you’ve uncovered, the information you feel compelled to bring into the light, rather than your own circumstances. In my case, I was ignorant of what would happen once I blew the whistle. I didn’t expect the Department of State to attack me. National Security Agency (NSA) whistleblower Tom Drake was similarly unprepared. He initially believed that, when the FBI first came to interview him, they were on his side, eager to learn more about the criminal acts he had uncovered at the NSA. Snowden was different in this. He had the example of Bradley Manning and others to learn from. He clearly never doubted that the full weight of the US government would fall on him. He knew what to fear. He knew the Obama administration was determined to make any whistleblower pay, likely via yet another prosecution under the Espionage Act (with the potential for the death penalty). He also knew what his government had done since 9/11 without compunction: it had tortured and abused people to crush them; it had forced those it considered enemies into years of indefinite imprisonment, creating isolation cells for suspected terrorists and even a pre-trial whistleblower. It had murdered Americans without due process, and then, of course, there were the extraordinary renditions in which US agents kidnapped perceived enemies and delivered them into the archipelago of post-9/11 horrors. Even if he made it out of Moscow, he couldn’t have doubted that the full resources of the NSA and other parts of the US government would be turned on him. How many CIA case officers and Joint Special Operations Command types did the US have undercover in Ecuador? After all, the dirty tricks had already started. The partner of Guardian journalist Glenn Greenwald, who broke Snowden’s story, had his laptop stolen from their residence in Brazil. This happened only after Greenwald told him via Skype that he would send him an encrypted copy of Snowden’s documents. In such moments, you try to push back the sense of paranoia that creeps into your mind when you realize that you are being monitored, followed, watched. It’s uncomfortable, scary. You have to wonder what your fate will be once the media grows bored with your story, or when whatever government has given you asylum changes its stance vis-a-vis the US. When the knock comes at the door, who will protect you? So who can doubt that fear made the journey with him? Could I Go Back to the US? So on that flight he knew—as he had long known—that the natural desire to go back to the US and make a stand was beyond foolhardy. Yet the urge to return to the country he loves must have been traveling with him, too. Perhaps on that flight he found himself grimly amused that, after years of running roughshod over international standards—Abu Ghraib, Guantanamo, “enhanced interrogation techniques,” “black sites”—the US had the nerve to chide Hong Kong, China and Russia for not following the rule of law. He certainly knew that his own revelations about massive NSA cyber-spying on Hong Kong and China had deeply embarrassed the Obama administration. It had, after all, been blistering the Chinese for hacking into US military and corporate computers. He himself had ensured that the Chinese wouldn’t turn him over, in the same way that history—decades of US bullying in Latin America—ensured that he had a shot at a future in someplace like in Ecuador. Fischer’s American passport was revoked just like Snowden’s. In the fashion of Hong Kong more recently, the Japanese released Fischer on an immigration technicality, and he flew to Iceland where he was granted citizenship. I was a diplomat in Japan at the time, and had a ringside seat for the negotiations. They must have paralleled what went on in Hong Kong: the appeals to treaty and international law; US diplomats sounding like so many disappointed parents scolding a child; the pale hopes expressed for future good relations; the search for a sympathetic ear among local law enforcement agencies, immigration and the foreign ministry—anybody, in fact—and finally, the desperate attempt to call in personal favors to buy more time for whatever Plan B might be. As with Snowden, in the end the US stood by helplessly as its prey flew off. At some point every whistleblower realizes his life will never be the same. For me, that meant losing my job of twenty-four years at the State Department. For Tom Drake, it meant financial ruin as the government tried to bankrupt him through endless litigation. For CIA agent John Kiriakou, it might have been the moment when, convicted of disclosing classified information to journalists, he said goodbye to his family and walked into Loretto Federal Correctional Institution. So fear again, in a slightly different form. It never leaves you, not when you take on the world’s most powerful government. Would he ever see his family and friends again? Would they disown him, fearful of retaliation or affected by the smear campaign against him? Would his parents/best friend/girlfriend come to believe he was a traitor, a defector, a dangerous man? All whistleblowers find their personal relationships strained. Marriages are tested or broken, friends lost, children teased or bullied at school. I know from my own whistleblower’s journey that it’s an ugly penalty—encouraged by a government scorned—for acting on conscience. If he had a deeper sense of history, Snowden might have found humor in the way the Obama administration chose to revoke his passport just before he left Hong Kong. After all, in the Cold War years, it was the “evil empire,” the Soviet Union, which was notorious for refusing to grant dissidents passports, while the US regularly waived such requirements when they escaped to the West. To deepen the irony of the moment, perhaps he was able to Google up the 2009-2011 figures on US grants of asylum: 1,222 Russians, 9,493 Chinese and twenty-two Ecuadorians, not including family members. Maybe he learned that, despite the tantrums US officials threw regarding the international obligation of Russia to extradite him, the US has recently refused Russian requests to extradite two of its citizens. 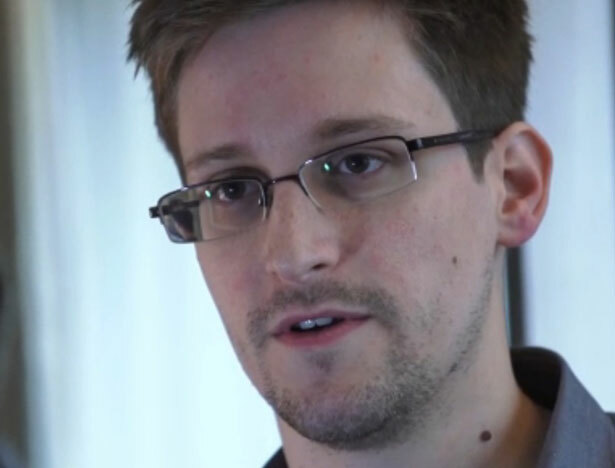 Snowden might have mused over then-candidate Obama’s explicit pledge to protect whistleblowers. “Often the best source of information about waste, fraud, and abuse in government,” Obama then said, “is an existing government employee committed to public integrity and willing to speak out. Such acts of courage and patriotism…should be encouraged rather than stifled as they have been during the Bush administration.” It might have been Snowden’s only laugh of the flight. On that flight, Snowden took his love of America with him. It’s what all of us whistleblowers share: a love of country, if not necessarily its government, its military or its intelligence services. We care what happens to us the people. That may have been his anchor on his unsettling journey. It would have been mine. Flying into the unknown, Snowden had to feel secure in having risked everything to show Americans how their government and the NSA bend or break laws to collect information on us in direct conflict with the Fourth Amendment’s protections. Amnesty International pointed out that blood-on-hands wasn’t at issue. “It appears he is being charged primarily for revealing US and other governments’ unlawful actions that violate human rights.” Those whispers of support are something to take into the dark with you. Some of the charges against Snowden would make anyone pause: that, for instance, he did what he did for the thrill of publicity, out of narcissism or for his own selfish reasons. To any of the members of the post-9/11 club of whistleblowers, the idea that we acted primarily for our own benefit has a theater of the absurd quality to it. Having been there, the negative sentiments expressed do not read or ring true. Edward Snowden undoubtedly took comfort knowing that a growing group of Americans are outraged enough to resist a government turning against its own people. His thoughts were mirrored by Julian Assange, who said, “In the Obama administration’s attempt to crush these young whistleblowers with espionage charges, the US government is taking on a generation, a young generation of people who find the mass violation of the rights of privacy and open process unacceptable. In taking on the generation, the Obama administration can only lose.” Snowden surely hoped President Obama would ask himself why he has pursued more than double the number of Espionage Act cases of all his presidential predecessors combined, and why almost all of those prosecutions failed. On that flight, Edward Snowden must have reflected on what he had lost, including the high salary, the sweet life in Hawaii and Switzerland, the personal relationships and the excitement of being on the inside, as well as the coolness of knowing tomorrow’s news today. He has already lost much that matters in an individual life, but not everything that matters. Sometimes—and any whistleblower comes to know this in a deep way—you have to believe that something other, more, deeper, better than yourself matters. You have to believe that one courageous act of conscience might make a difference in an America gone astray or simply that, matter or not, you did the right thing for your country. Is Obama risking the United States’s relationships with China and Russia in his hunt for Edward Snowden?